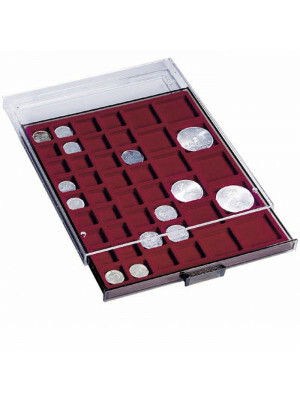 Aluminium coin case for 5 coin boxes. Note: Coin boxes are not included. 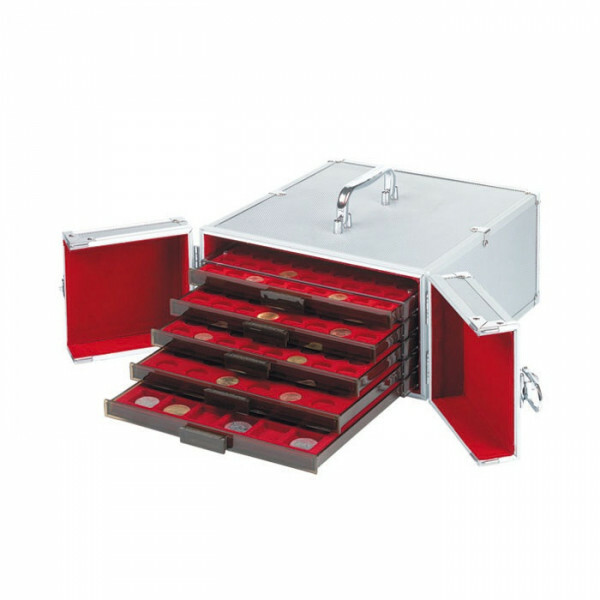 Suitable for 5 Standard coin drawers size 236 x 303 x 20 mm. Overall dimensions (l/w/h): 332 x 280 x 162 mm. Fitted with crimson velour and lockable.